The event of the season is finally here! 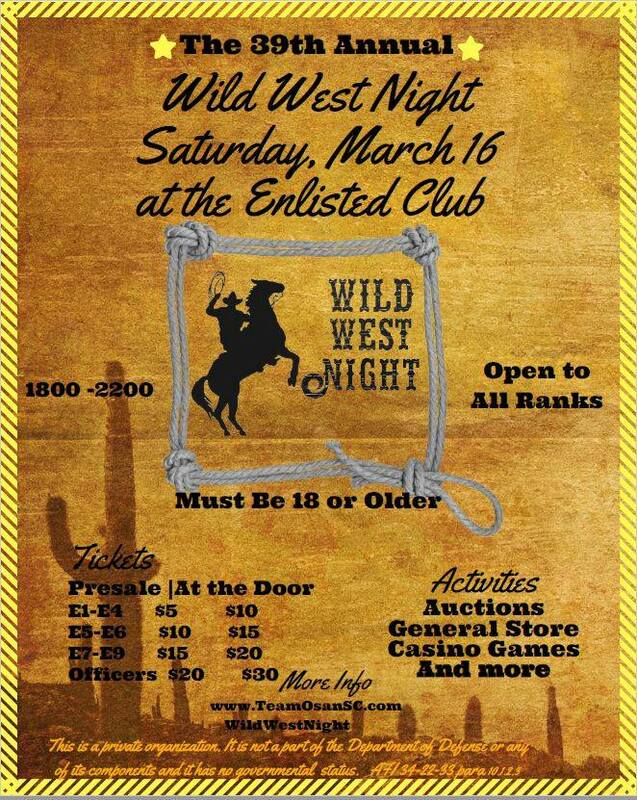 Wild West Night will include auctions, a general store, casino games, great music and more! All proceeds from this event will go to the Team Osan Spouses' Club Scholarship Fund. Admission is open to all ranks. You do not need to be a member of TOSC to attend this event.